Welcome everyone! 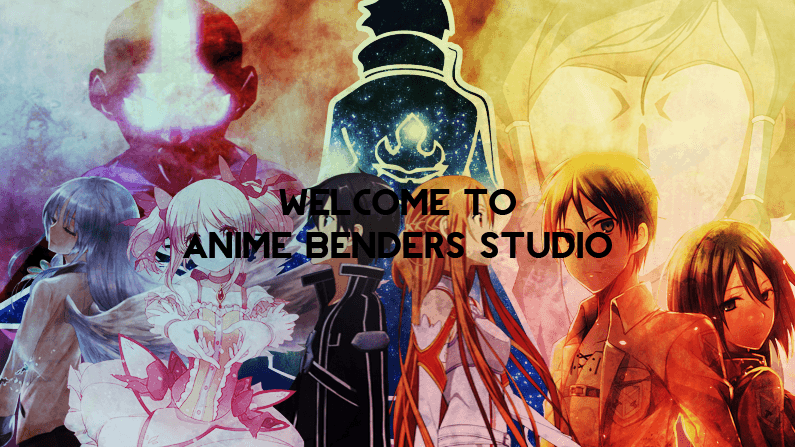 We are Anime Benders Studio! We are a new kind of studio that uses any type of anime along with Avatar: The Last Airbender/The Legend Of Korra. Sendspace is free to use! Hey Harley, I won't be able to finish my part. xxEllfy wrote: Hey Harley, I won't be able to finish my part. No problem. I extended it. :)Is June 30th ok? I can extend it more if you need me to. There's no rush. Finished both parts! I changed Part 6 to Renji/Rukia from Bleach, since I had more scenes that collaborated well with that part. Hope you like it! So pretty and sad! Great parts! Thanks for joining! Sometimes when my inspiration is low, my videos show it, and don't turn out very well. You aren't like me, I guess, because this part is just perfect. Exactly what I wanted for this MEP! Those poor babies! Very emotional part. I love it! I'm glad you were able to do the part even with work taking up your time. I've been working at a pet store (puuuuuuppies! x3) for a few weeks and have gotten into the normal working routine so I should have some time to set aside for editing and and all that jazz~! @Kami Will do! I can give you an extension too if you need it. How are parts coming along? I'm going to extend the deadline a bit but everything's coming along great so far. One part is being remade because it was lost in the process. But including that there are only like two parts left so this should be done within a few weeks at the most. Harlequinade13 wrote: I'm going to extend the deadline a bit but everything's coming along great so far. One part is being remade because it was lost in the process. But including that there are only like two parts left so this should be done within a few weeks at the most. Sounds good! Thank you for the update! It's so pretty. Thank you! ThunderrVolt wrote: Part 4 with Akane and Kougami from Psycho Pass? How's your part coming along? ThunderrVolt is away this week at camp so I'm giving another extension. This MEP should be done very soon then. Can u send me audio though? Thank you for offering but I'm pretty sure Thunder is almost done. I'll keep you updated. You can be a back-up. So sorry for not replying here sooner! I usually get notified by email when I thread I've been active in has a reply, but I haven't lately for some reason. Anyway, I am working on my part and I'm almost done with! Sorry for taking so long!